Spring is officially here and I can’t wait for fresh cool air and pretty little flowers to bloom. Spring happens to be my second favorite season because it’s a reminder that my birthday is around the corner. Also, it’s that time of year people start putting away the winter sweaters and pulling out all the cute floral and pastel dresses. Sadly, for me living in New England; Miss. Spring sometimes likes to show her face a little later in the season. Despite the bit of cold air that’s still lingering around I have not let it stop me from enjoying Spring fashion. Today on the blog I wanted to tell you about a new collection that has some cute stylish pieces for the nice weather ahead. 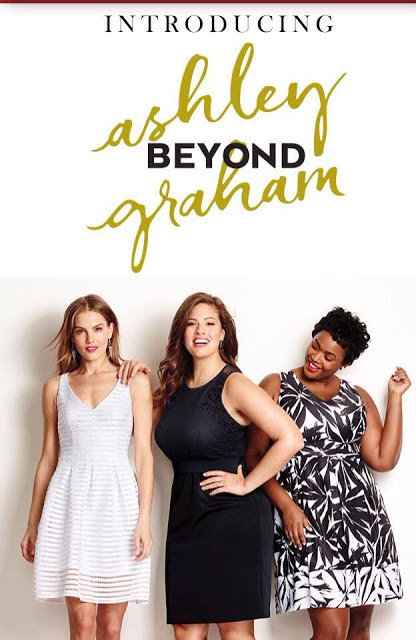 The lovely plus model Ashley Graham created a capsule collection sold exclusively at Dress Barn called “Beyond By Ashley Graham”. The Beyond collection is available in sizes 4-24w and retails between $48 -$66. 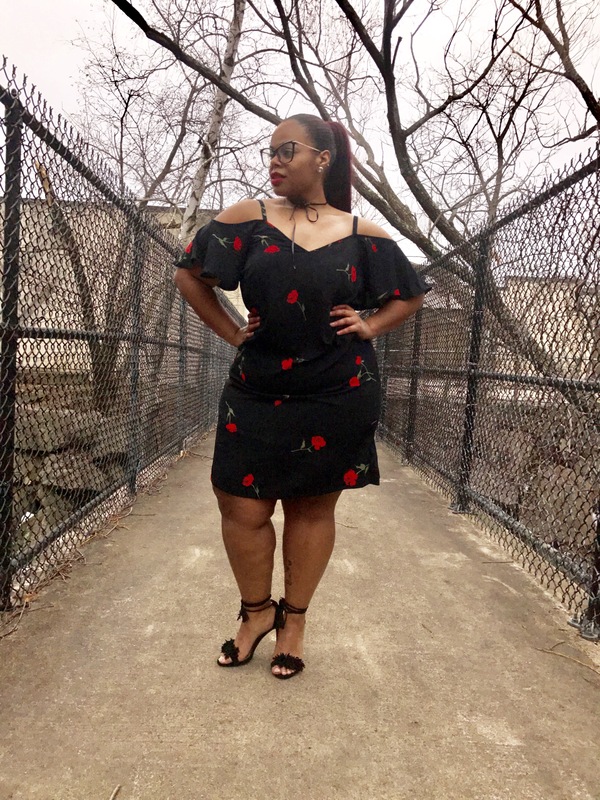 Ashley’s collection for Dress Barn reflects her mantra which is — ‘beauty is beyond size”. 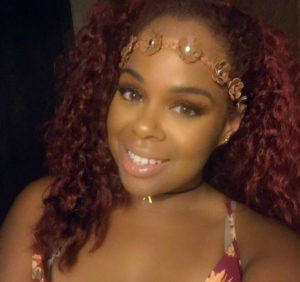 I love that the collection is available to all women and not just a certain size range so all body shapes can enjoy. 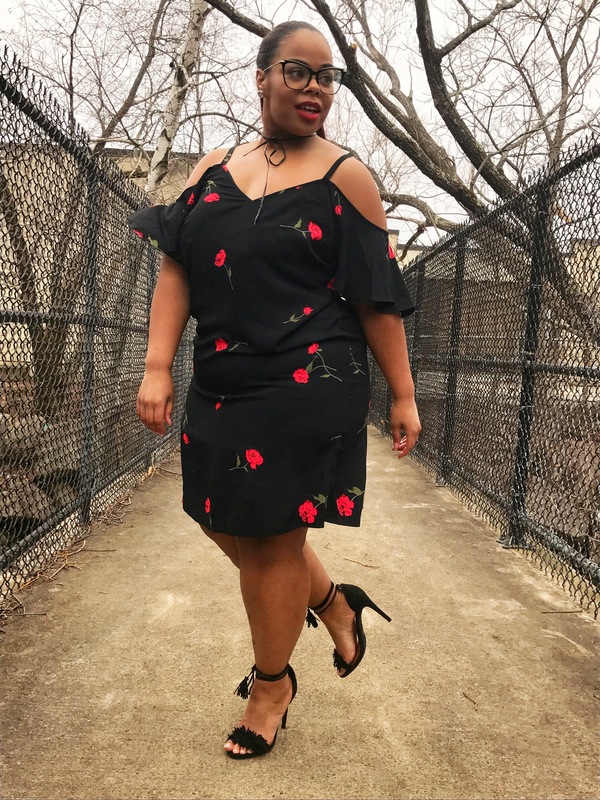 The dress I’m wearing is called the Floral Cold Shoulder Dress ( I guess exposed shoulders has been my thing lately). 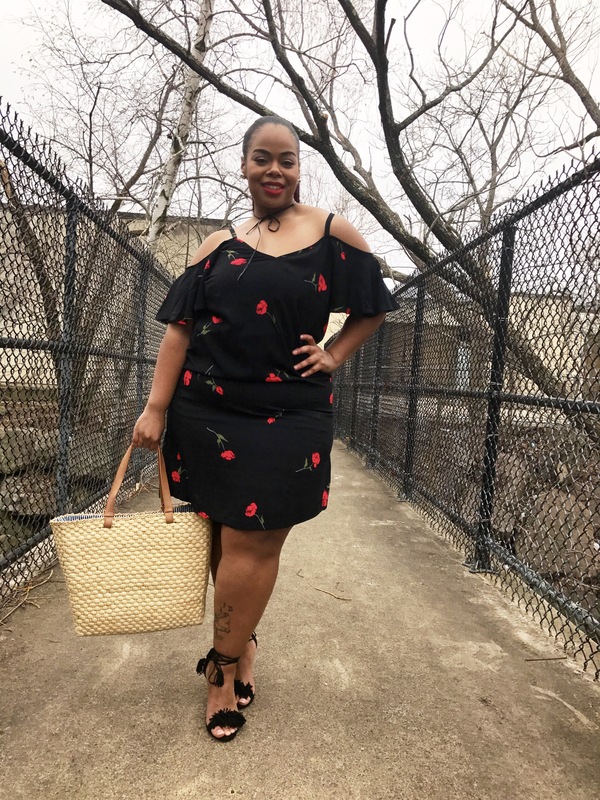 I adore how this dress has so much versatility when it comes to styling. I’m totally for an outfit that has multiple uses and this dress does just that. For a daytime look, you can dress it down it with sneakers for a casual feel to run errands. Then if you want to transition into a night on the town add some cute heels and out the door, you go. 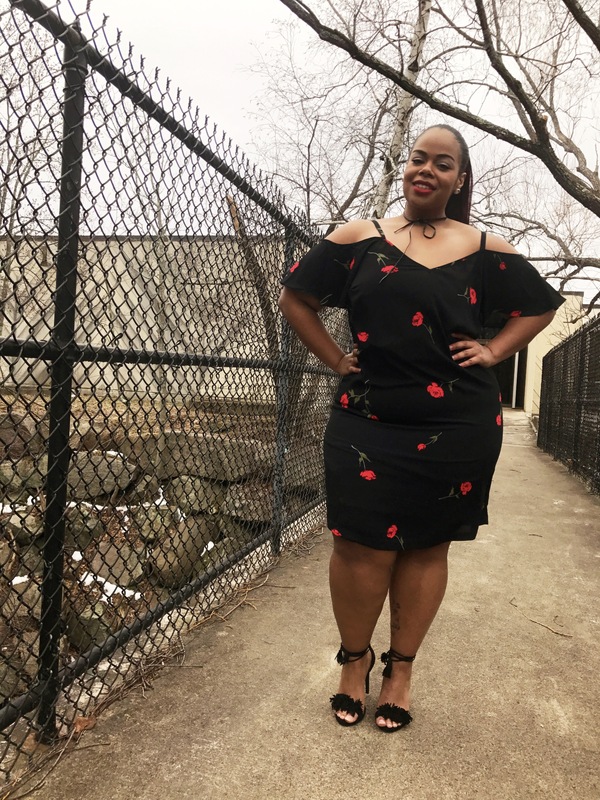 I paired mine with some black heels this day, but I’m sure I’ll be styling it with some sandals or some kind of sneaker. 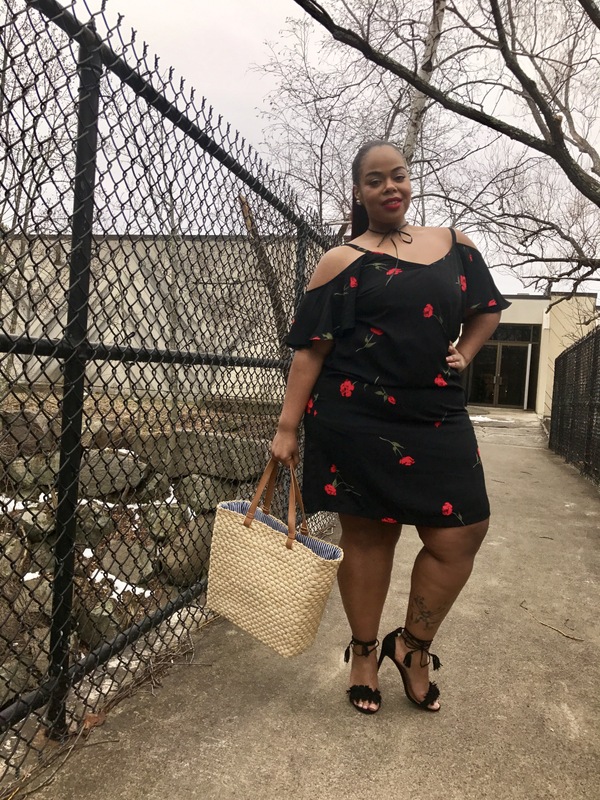 I say if you’re in search of something cute and springy then make sure to check out The Beyond By Ashley collection exclusively at DressBarn. Hope you enjoyed this quick little outfit post and until next time i’ll talk to you all later!!! It is a stunning dress and you wear it so beautifully 💖 it is good that someone aa inspirational as Ashley Graham has created a range and it is not a surprise it is for aĺ sizes as she has really shown in her career that size truly does not matter!! !